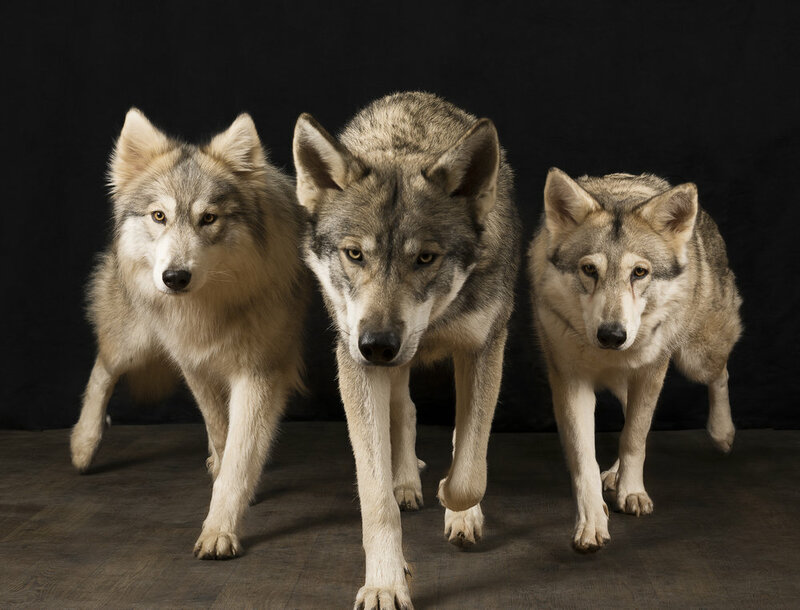 Recently, we chatted with Natalie Lagstrom, head trainer and owner of the fabulous Watermill Wolves acting team. 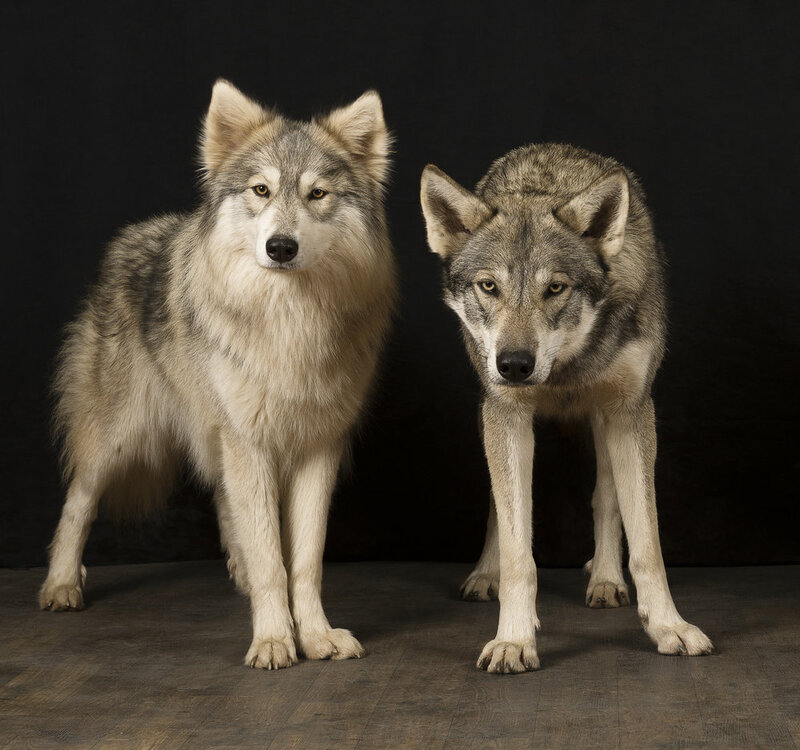 These famous wolf lookalikes have featured in TV series including Penny Dreadful and Vikings and in a heap of magazines including Vogue and Marie Claire and alongside a whole host of famous actors, models and celebrities. They make appearances up-and-down the country drawing crowds and promoting for products and events from sports teams to television shows and just about everything in between. There are currently six acting dogs in the team, and they are Mr Bond, Alice, Tala, Missy, Summer and Winston. Natalie has worked and surrounded herself with dogs all her life. She is a fully trained and qualified behavioural therapist and an experienced, vet recommended pet behaviour counsellor, and has been practicing for many years. Natalie writes books and articles on pet behaviour, and her research into animal learning has been published. She also lectures and teaches at a variety of levels. It's fair to say she knows her stuff. So, let’s go back to the beginning. We asked Natalie how she got into the world of wolfdog acting. The wolfdogs happened before the acting she explained. Very keen to work with her own dogs in a totally natural way, Natalie wanted to choose a more natural animal and a wolfdog would give her the opportunity for them to work together in a healthier environment than the traditional dominant training regimes she had seen all too often. With this in mind, she bought her first low content wolfdog called Hunter. It was clear from the start that he really enjoyed doing things and he loved working with Natalie, where they both had a sense of accomplishment from their activities. She quickly realised that there might be a role for what appeared to be a fierce wolf on the outside but who was really a well-trained working dog on the inside. So they started to take on acting roles. Hunter proved very popular, but most importantly he loved the jobs. It was a thrilling day for Hunter when he went to work. He was fussed, met new people and enjoyed the excitement. They started with magazine modelling and promotions and built from there. So, the acting dynasty had begun. Natalie bought another wolfdog called Summer, who loved the acting roles too. She was paired with Hunter and their pups began acting as soon as they were ready, always enjoying their learning experiences from Natalie, and their parents right from the moment they arrived. 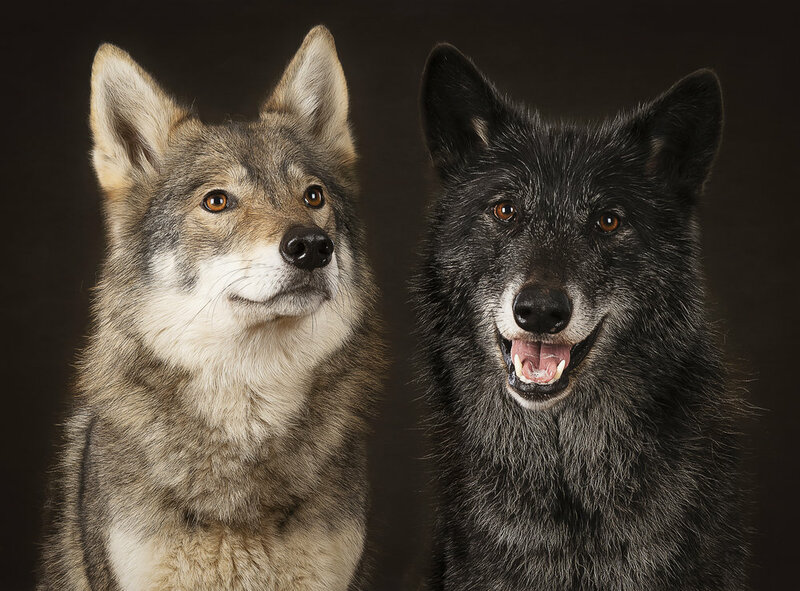 There have been several generations since those early days and many of Natalie’s wolfdogs have gone on to act. Natalie sees their acting roles as a form of enrichment, but only for those wolfdogs who want to do it, and they also have different skills. This is why the team benefits from being so large. If one of the wolfdogs doesn’t feel like acting that day, then another will be available. The sense of teamwork is such a joy for all dogs and for wolfdogs in particular. They love to feel like they are working with you together as their hierarchy is based on family like ours. The work itself is very detailed. Not only do wolfdogs have to behave like a wolf including snarling, growling, stalking and so on, but they also must hit their marks just like an actor. The training is ongoing and very precise. Sometimes, waiting on set can take hours and the wolfies are so keen that during these times, they are still ‘play-acting’ away from the set so they can enjoy the day to it’s full. Rewards are plentiful and based around the three F’s - food, fuss and fun and all three are important. They also enjoy toys, but basically it’s whatever makes them happy. Natalie understands each of her dog individually. She knows what they like what they don’t like and what they will and won’t do. Her wolfies are very good with children. As a family species themselves, they see people as social individuals and are very gentle with curious kiddies. They play brilliantly and are patient and kind. It must be remembered however that these dogs have been raised in a loving, positive family environment (both human and wolf) from a very early age and have grown up with children and people all their lives. All dogs play their part in this team. Even when a wolfdog cannot perform like they could in their younger days they are still encouraged to come along and do what they can and are rewarded as heavily as all the others. Her wolfdogs never really retire but they do have easier jobs in their more senior years. They always want to stay as part of the team, having fun, even if it means faking it for them and it is heart-warming to see them taking part and getting a fuss and a cuddle and a tickle. The welfare of these animals is the most important thing to Natalie. It’s her job to ensure that they always have positive experiences when working. Sometimes the pressure is on and everyone has been working all day to get things right. It is up to Natalie to protect the dogs if she feels they are being pushed too hard. It’s tough sometimes, but her wolfies rely on her and she will always step up. The acting has allowed Natalie to get involved with her other passion and that is spreading the word about natural dog behaviour and wolf conservation. The Watermill Wolves can be seen at educational events through the Summer. Her lupines are also involved with an inner-city arts project where they visit people who can draw and paint these marvellous creatures. It’s one thing to know wolves are in danger in the wild but the message resonates a little more fully after you have met and engaged with one. 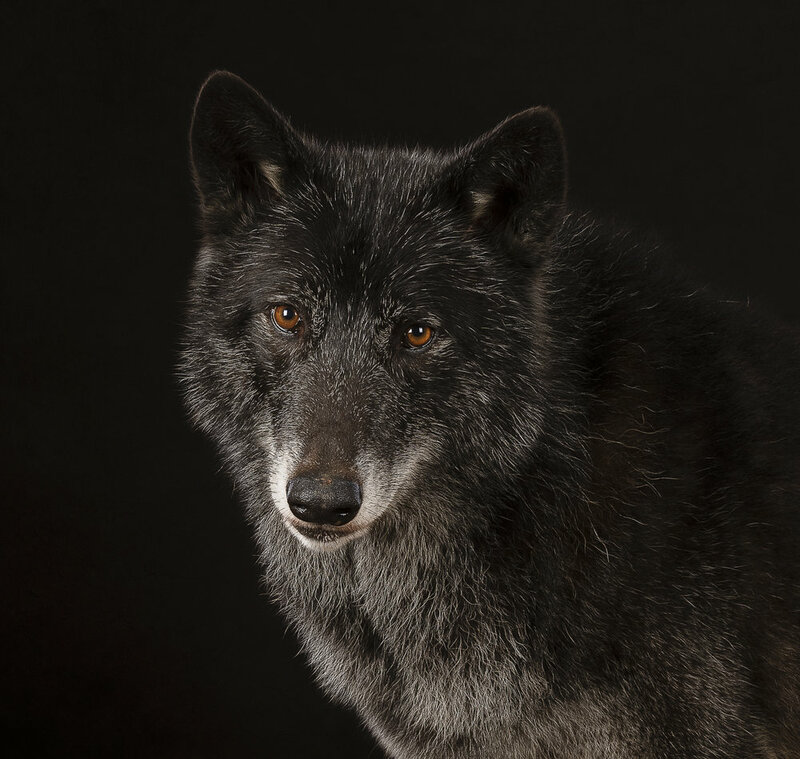 You can follow the Watermill Wolves and learn more about wolf conservation by following the web and social media links below. Thank you, Natalie and the wonderful Watermill Wolves.